Saltine crackers make a low-calorie snack. Nabisco’s Premium Saltine Crackers square crackers have perforated edges and small holes that allow steam to escape during cooking. Sometimes called soda crackers because they contain baking soda, versions of saltine crackers have been available since the early 1800s, Practically Edible says. Saltines, often used as a base for cheese or other toppings, supply little nutrition by themselves. The Nabisco nutritional label lists one serving of crackers as containing 60 calories, but doesn’t specify how many crackers equal one serving. Diet Facts lists the serving size as five crackers, meaning that each cracker contains only 12 calories. Carbohydrate makes up the bulk of the saltine cracker, with 11 g of carbohydrate in a serving of five crackers, according to Nabisco. Since 1 g of carbohydrate contains four calories, a serving of crackers has 44 calories from carbohydrates. The crackers contain enriched flour and malted barley flour. The label lists no fiber and no measurable sugars in a serving portion, but the ingredients list contains high fructose corn syrup, a sugar that must be present in very small amounts. A serving of saltine crackers contains 1.5 g of fat, according to the Nabisco label. This is a small amount of the 90 g of fat necessary for the person consuming an average 2,000-calorie a day diet, according to the Merck Manuals Online Medical Library. The fats listed on the label are soybean oil and partially hydrogenated cottonseed oil, but the amounts in each cracker must be small, since the amount of saturated and trans fats are listed as zero on the Nabisco label. Saltine crackers contain almost no protein. Nabisco lists the total protein in a serving size as 1 g, a minute amount of the 60 g recommended daily intake, according to Merck. Saltine crackers contain large amounts of sodium compared to the rest of their nutritional value. 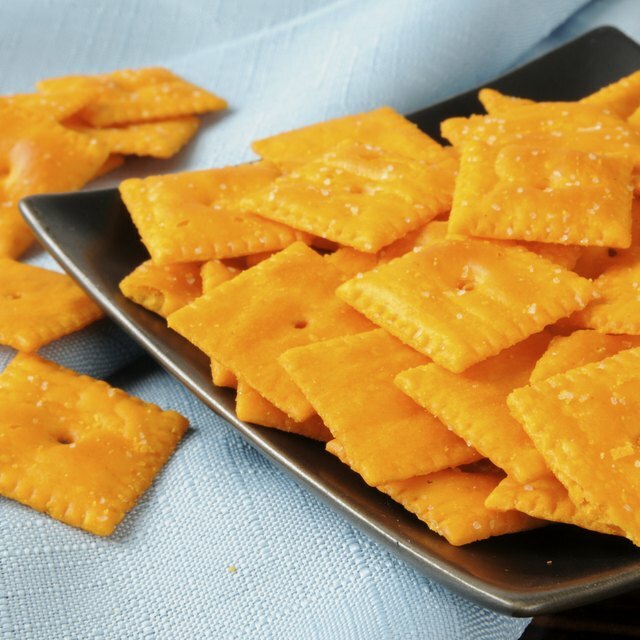 A serving of crackers supplies 190 mg of sodium, or around 40 mg per cracker. 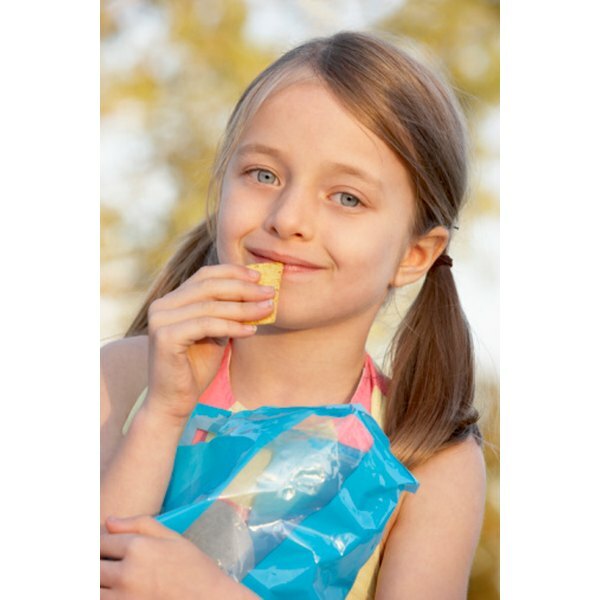 Since the daily sodium limit is 2,400 mg, five crackers give you over 8 percent of your daily sodium allowance. Saltines contain fortified flour, which contains niacin and vitamins B1, B2 and folic acid, all B vitamins. Saltines are also fortified with iron and supply 4 percent of your daily iron needs according to the product label.